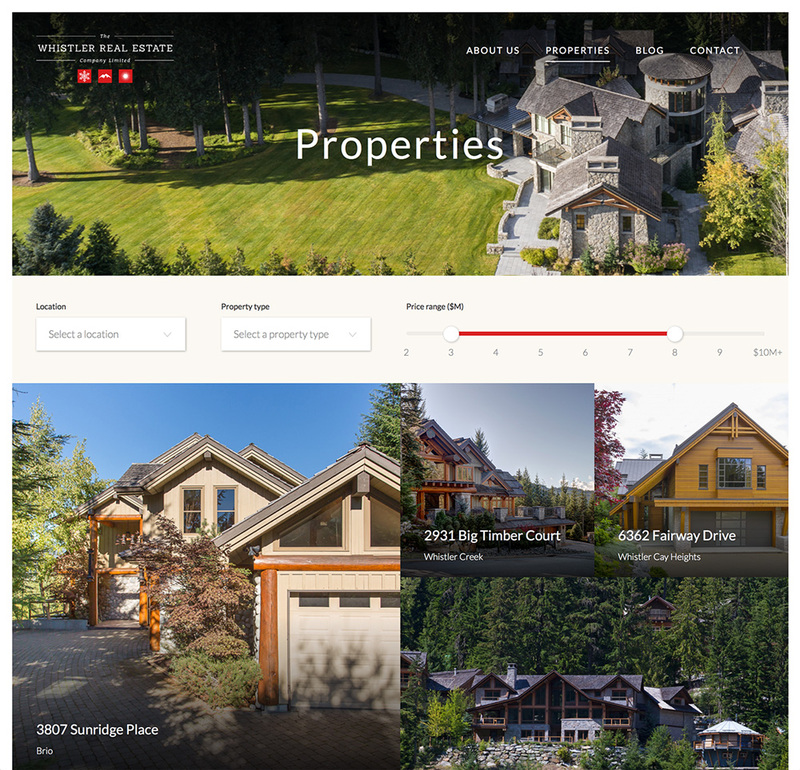 I developed the front end of the website for luxury Whistler real estate listings, it has elegant transitions for images and content to make it stand out like the listings itself. The homepage has 3 full screen sections that are stacked behind each other and on scroll reveal with nice transitions of the image and the text. On mobile the content is laid out underneath each other, to create the best usability for every device. In this case I only had a few items that needed to be filtered and therefore there was no need for a JS framework. I cached the items, wrote a filter and then replaced the ones on the page with the filtered result. The layout is quite complex and needed therefore different styles for the links and the ":last-of-type" attribute to change the layout in order to not create empty spaces. The layout of the listings changes not only based on your screen width but also based on the amount of elements, to not have empty spaces and always a clean design.